Generally, the summit is attended by the US president. However, this time, Pence would be representing the country at the request of President Donald Trump. Pence will travel to Japan, Singapore, Australia and Papua New Guinea between November 11 and 18 to attend the US-ASEAN Summit and the East Asia Summit in Singapore as well as the Asia Pacific Economic Cooperation (APEC) meetings in Papua New Guinea. 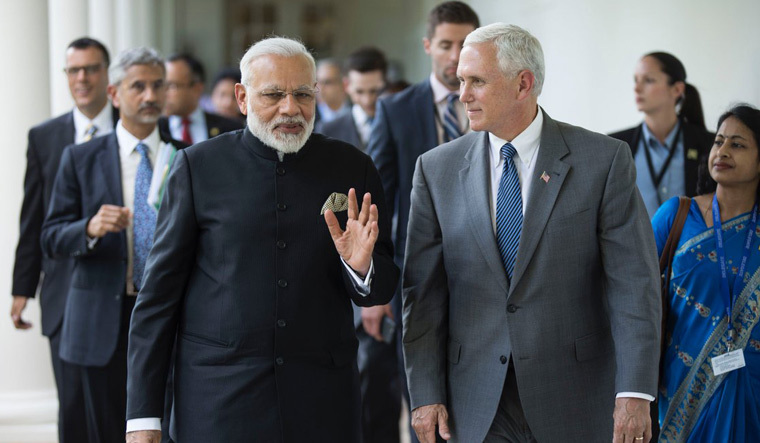 Pence will also participate in meetings with Japan's Prime Minister Shinzo Abe, Singapore Premier Lee Hsien Loong, India's Narendra Modi, Papua New Guinea's Prime Minister Peter O'Neill and Australian Prime Minister Scott Morrison, in addition to other bilateral meetings, the White House said. National Security Adviser John Bolton will join Vice President Pence for the US-ASEAN Summit and East Asia Summit in Singapore and APEC meetings in Papua New Guinea. "The Vice President is honoured to represent President Donald Trump at the US-ASEAN Summit and APEC next week, where he will highlight American leadership in the region and reaffirm our commitment to freedom, economic prosperity and security in the Indo-Pacific," Alyssa Farah, Press Secretary for the Vice President, said. This will be Pence's third trip to the region as the Vice President and he will reaffirm President Trump's commitment to the final, fully verified denuclearisation of the Korean Peninsula, she said. "He will also deliver the message that authoritarianism, aggression and the disregard for other nations' sovereignty by any nation in the Indo-Pacific will not be tolerated by the US," Farah said.